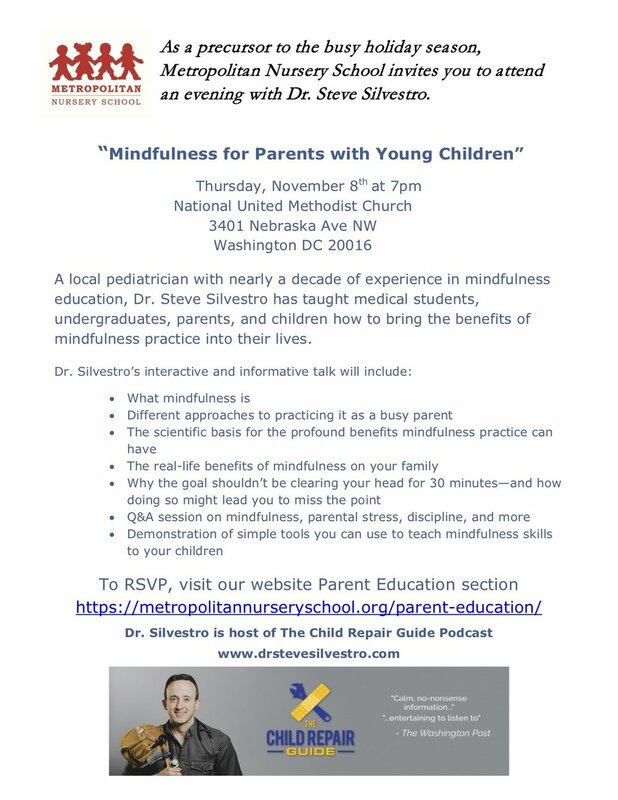 Local pediatrician, Dr. Steve Silvestro, and host of The Child Repair Guide podcast will be with us to talk about Mindfulness and parenting just in time for the busy holiday season. This event is open to all so please RSVP so we know how many people to expect. This event is free, however, donations will be accepted the night of the event to help support our public speaker events.